Our Gem Orbital Buffer 13 pound unit has the same heavy-duty housing as the Gem orbital 16 lb unit. This unit is lighter than the 16 lb unit and preferred by women detailers. Overall height is 8" - RPM: 1730. Gem Orbital Buffer "Terry Bonnet" Value Package - 13 lb. Our Gem 13 lb Orbital Buffer has the same heavy-duty housing as the Gem orbital 16 lb unit. This unit is lighter than the 16 lb unit and preferred by women detailers. Overall height is 8" - RPM: 1730. Gem Orbital Buffer "Terry Bonnet" Value Package - 16 lb. 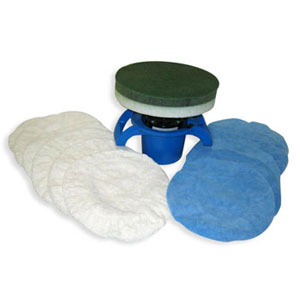 Gem Orbital Polisher "Microfiber Bonnet" Value Package - 13 lb. 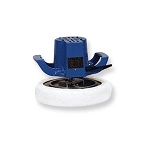 Our Gem 13 lb Orbital Polisher has the same heavy-duty housing as the Gem orbital 16 lb unit. This unit is lighter than the 16 lb unit and preferred by women detailers. Overall height is 8" - RPM: 1730. 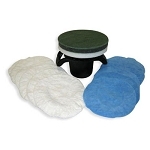 Gem Orbital Polisher "Microfiber Bonnet" Value Package - 16 lb. 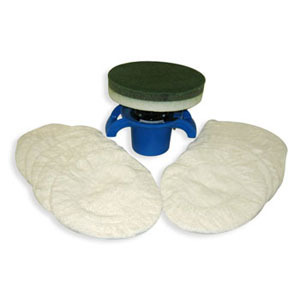 Gem Orbital Polisher "Microfiber & Terry Bonnet" Value Package - 13 lb. 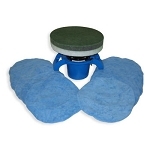 Gem Orbital Polisher "Microfiber & Terry Bonnet" Value Package - 16 lb. Gem Orbital Polisher "Time Saver" Value Package - 13 lb. Gem Orbital Polisher "Time Saver" Value Package - 16 lb. Gem Orbital Polisher "Buff 'N Glaze" Value Package - 13 lb. Gem Orbital Polisher "Buff 'N Glaze" Value Package - 16 lb. Gem Orbital Polisher "Shine & Seal" Value Package - 13 lb. Gem Orbital Polisher "Shine & Seal" Value Package - 16 lb. 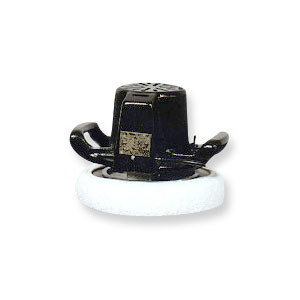 The Gem Orbital Polisher has been around longer than any other orbital polisher. Detail King stocks both the 14 lb and 16 lb Gem Orbital Buffers. 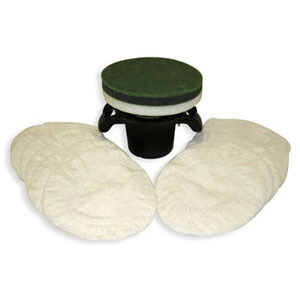 If you are looking for the Gem heavy weight terry bonnets and microfiber bonnets we offer them individually and by the dozen. 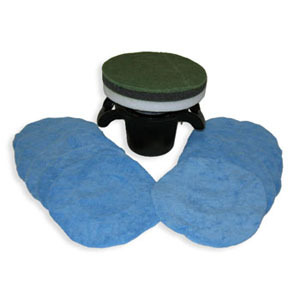 We feature several money savings Gem Polisher Kits that include the terry and microfiber bonnets and Detail King polishes and waxes.